Last week, the 5th edition of the Meilleur Dev de France took place at Station F, the largest startup campus in Europe. Over 7,000 people attended this year’s event, including 700 of the country’s best coders competing for one of the highest engineering honors in France. As in previous editions, the Criteo team made an impressive showing. 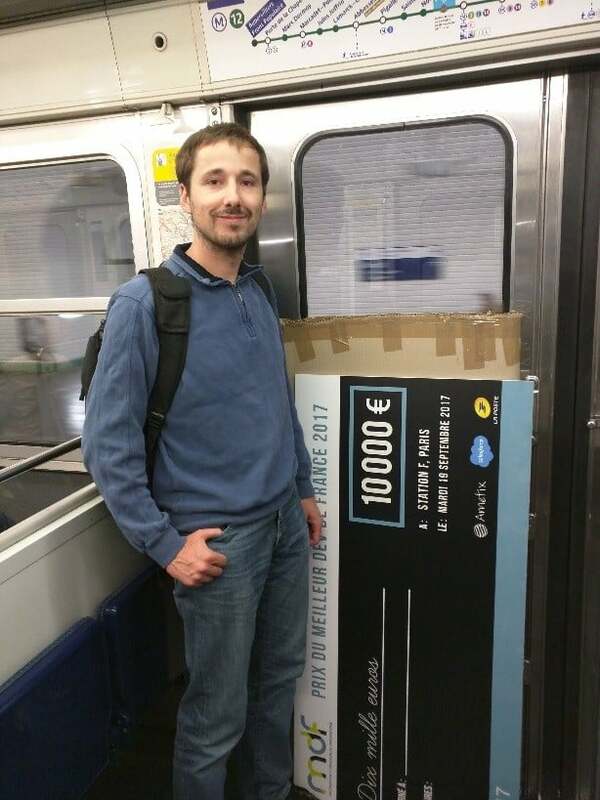 Stephane Le Roy, a Senior Software Engineer in Criteo’s R&D department, took home the top prize — 10,000 Euro and the coveted title of “Best Developer in France” — by finishing the problem statement in less than 23 minutes. In a recent conversation with Criteo’s engineering blog, Stephane spoke about what it takes to prepare for the contest, the skills required to win, and his favorite moment. Can you tell us about the most memorable moment during the competition? I have two. After I solved the last question during the finale, I looked around and realized other competitors were still working on their problems. A few minutes after that, I noticed that Lowik Chanussot, another finalist from Criteo had also finished all the problems. At this point, we had to wait for 45 minutes for the end of the competition, relaxing a little (while others were still competing) and silently enjoying our 1st and 2nd places. Did your daily job at Criteo impact your performance in the contest? In my team in Criteo, we work on distributed algorithms for graphs on Spark/Hadoop and like other teams, we have to handle a huge amount of data every day, so it’s a constant challenge to find optimized algorithms. This can explain why myself and other Criteos performed well in the Meilleur Dev de France — almost one out of two qualified for the finale! For the rest of the interview, including the one thing Stephen wishes he could change about the industry, hop over to our engineering blog, Criteo Labs. Gilles is obsessed with data and eCommerce. He authored numerous articles and research studies about online shopping and Commerce Marketing.